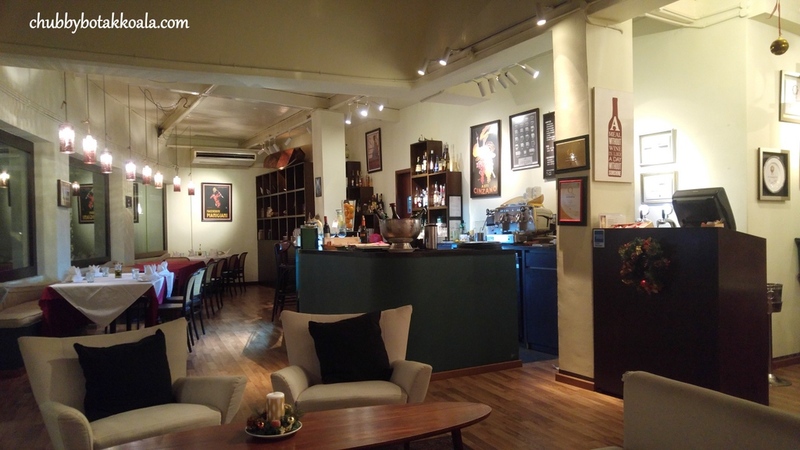 La Barca is a quaint Italian Restaurant located in Goodman Art Centre Campus. This is the second gem that we discovered in the secluded area. 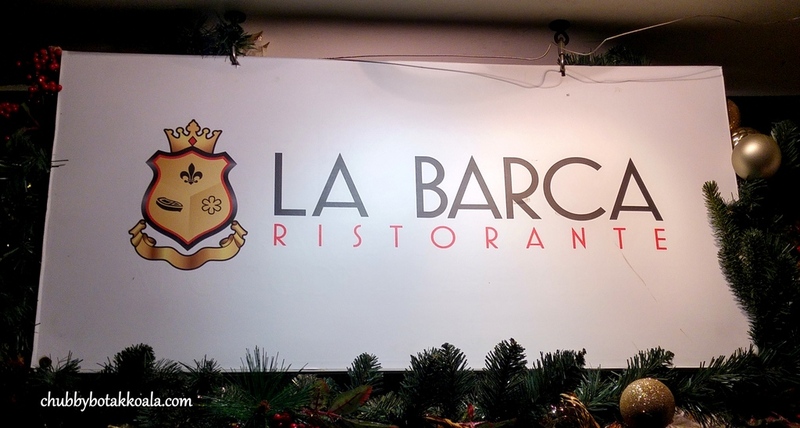 The name La Barca came from an Italian word that means a boat, just like the shape of the restaurant. La Barca serves classic Tuscan fare with a modern twist, focusing on the fresh ingredients and stylish presentation. La Barca comes highly recommended from a fellow blogger, Purple Eats whom frequented the restaurant before. After the first visit, we have returned a few more times before I had a chance to write this review. 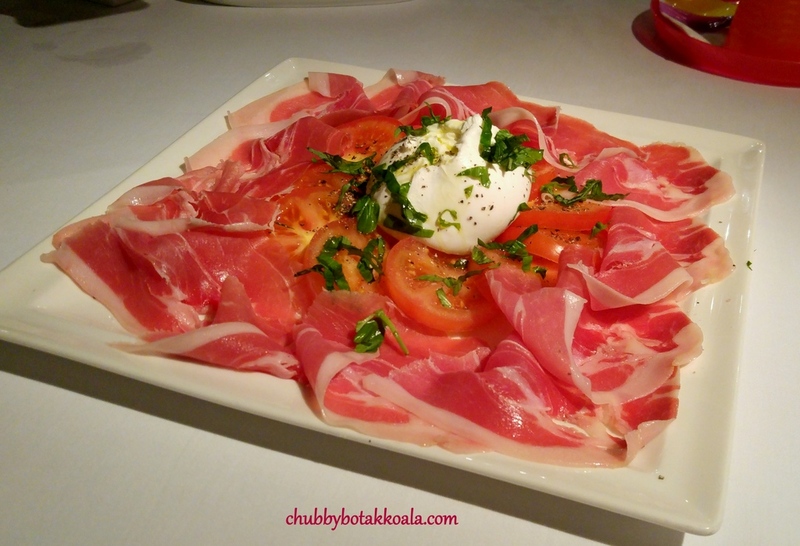 Their entrée of Parma Ham and Burrata is a must try (Il Prosciutto Di Parma, Burrata Di Andria, Pomodori E Basilico - $40). The price might look stiff at first, but the portion does not disappoint. It is huge and enough for 4 pax. Thinly shaved saltish and delicate Parma ham combine soft, creamy and bouncy organic burrata cheese sure fire up our appetite and looking forward to the next dish. 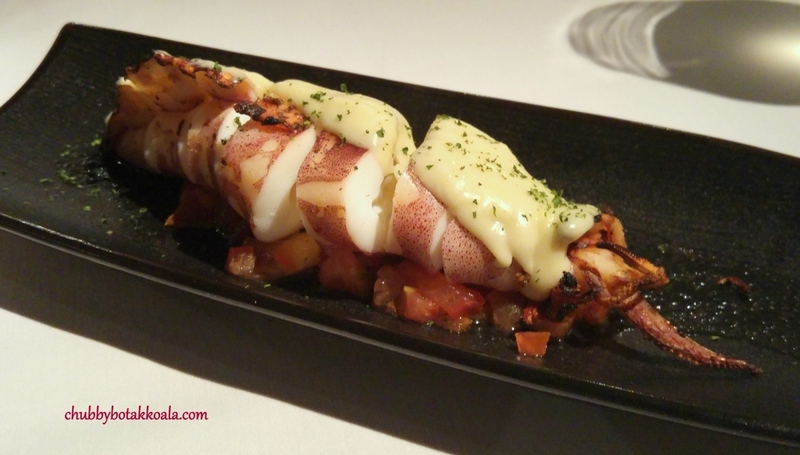 For seafood entrée, the grilled squid will be a good option. Calamari Arrostiti Pomodorini, E Crema Di Aglio ($24). Perfectly grilled squid that has springy yet succulent texture. The garlic cream just hits the spot and remove any traces of fishiness if there was one. Pizza lovers will be satisfied as well. Though their offering is not extensive, they are generally very good. 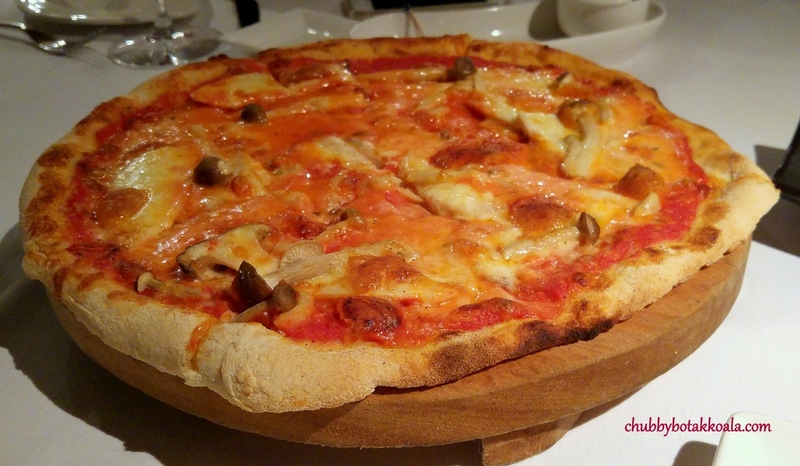 The dough of the pizza is crisp on the exterior while slightly chewy in the interior. The toppings are generous. 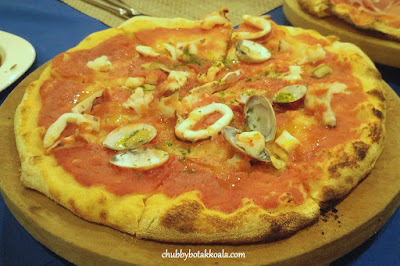 We tried Fungi Freschi Misti pizza ($22) and seafood pizza (Pizza Con Pesce Fresco Senza Mozzarella - $24). The toppings filled the pizza to the max, where the pizza still have its crisp texture and does not go soggy. The seafood toppings included ocean fresh fish, squid, cuttlefish, prawns, octopus, mussels, clams definitely showcase the goodness from the sea. There are about 8 types of pasta from the menu that you can choose from. 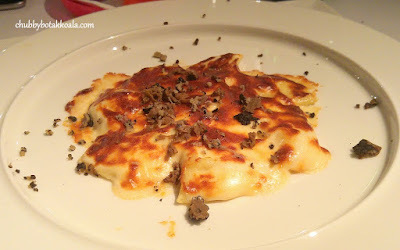 I Tortelli Di Pecorino Con Fonduta Di Parmigiano E Tartufo Di Stagione ($42) is Chef Michele's award-winning pasta. Rich and creamy cheese tortelli, topped with pecorino cheese plus a seasonal truffle. Yum Yum. We just hope the portion can be adjusted. 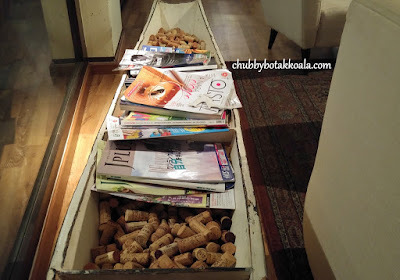 If you have this dish as part of your 5-course meal, I say the portion is just nice. But for small family / communal dining, it will be good to increase the portion by about 25% so everyone can get a decent bite. The Mediterranean-style seafood spaghettini ($26) is totally the opposite of the cheese tortelli. 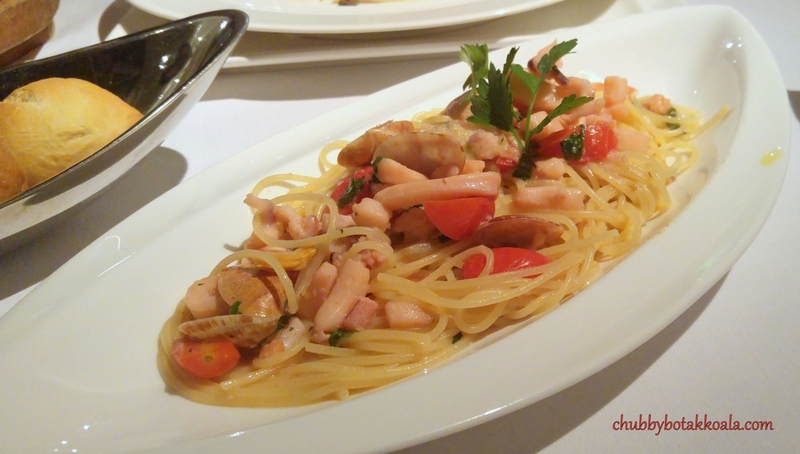 Looks rather plain, it supposed to introduce the seafood flavour of clams, squid, prawns, cuttlefish and octopus to the pasta. You can taste the garlic, olive oil in the pasta, the seafood flavour just absent in the pasta. I recommend giving this dish a miss. 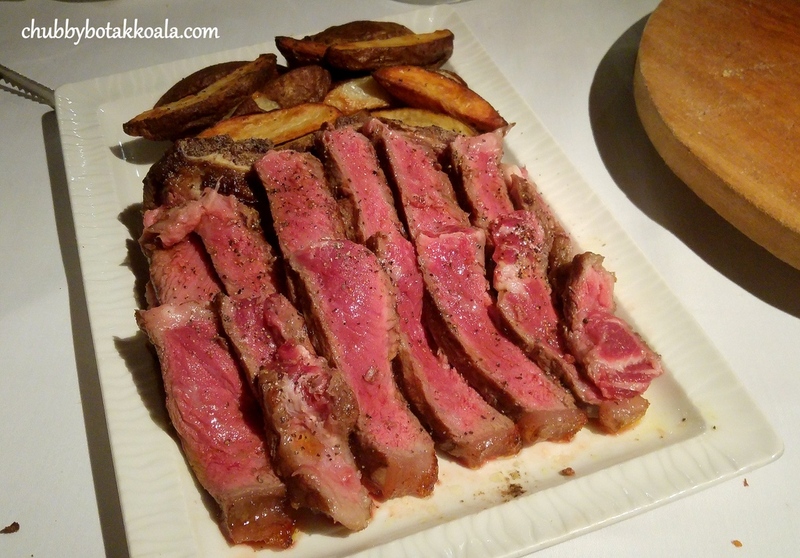 Since La Barca is a Tuscan restaurant, the traditional Fiorentina steak is a must try. 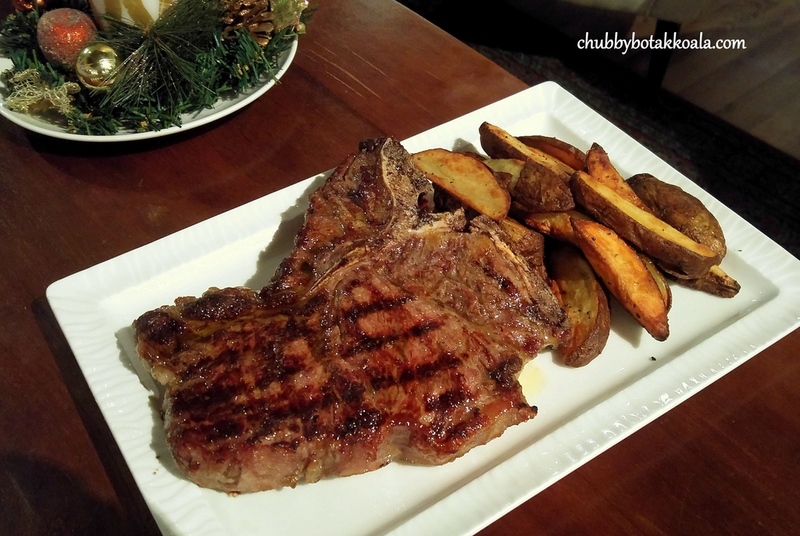 There are two type of beef on offer: Australian Angus Beef, marbling score 3 ($18 per 100 gram) or Italian premium grain-fed beef from Piemontese, marbling score 1, low fat ($20 per 100 gram). So far we only tried the Australian Angus Beef, as we prefer something more fatty. The typical Fiorentina steak are cooked at high heat which sometimes looks charred. The version here has a nice grilled mark and sealed the juice nicely. Minimum order for the steak is about 800 gram, so it is definitely made for sharing. The service staff will show us the steak after it comes off the grill. It is then brought to the kitchen to be cut. Both time we tried the steak, it was cooked just slightly before it reaches medium rare. It is meaty, juicy and succulent. 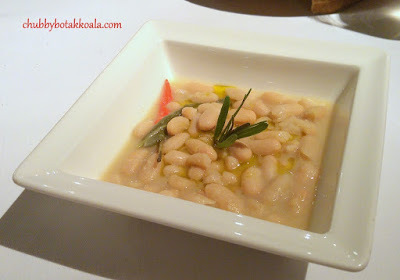 The wedges and cannelli beans is a good companion for the meal. You can order other side dishes like mash potatoes, sauteed Italian spinach, shoe-string fries, etc. In case the steak is underdone for you, you can ask the service staff for the hot-stone and you can grill it a bit more on the table. For the sweet ending, our picks are Tiramisu Tradizionale La Barca ($14) and Strudel Di Mele Banane Alla Cannella Con Salsa Di Vaniglia ($14). 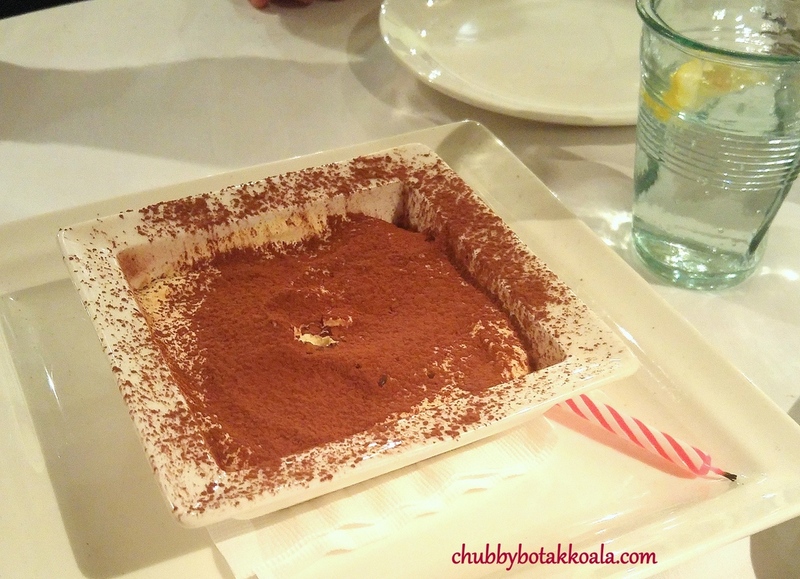 The tiramisu is without alcohol and cream. Using eggs as the base ingredients, It is smooth, creamy and packs a solid coffee punch. The presentation looks a bit like someone spilled a spoonful of milo on the desserts, however, it is a must try dessert. The strudel has an attractive texture of crispy exterior and moist interior. The fillings of organic apple and banana are wrapped in pastry sheets, then deep fried. 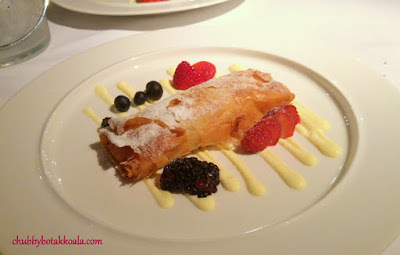 The use of vanilla cream instead of ice cream actually a good choice here, so the strudel maintain its crispy texture. The berries provide a good balance to this sweet dish. The restaurant is spacious. The seats are well spread out and enough distance between tables to retain the privacy between diners. 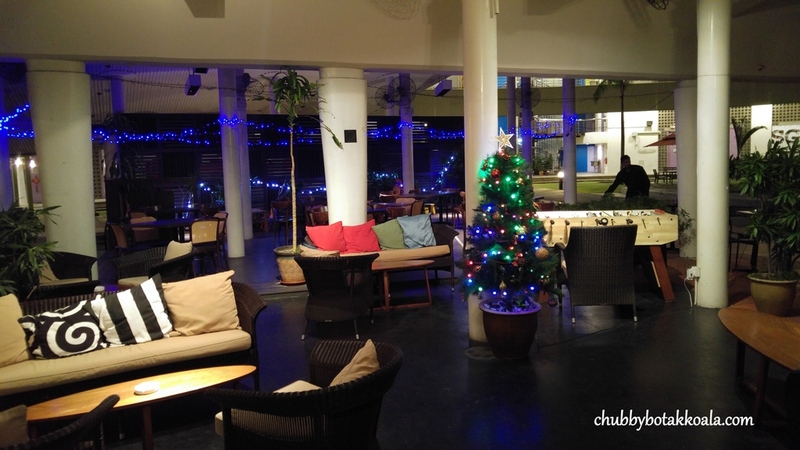 The main dining area will be indoor, but you can also seat outside for drinks and chill out. There is indoor and outdoor playing area for family coming with children. So it is a good place for families to meet up. Service is efficient, friendly and professional. Overall, the food at La Barca is definitely something to look forward to. It is a place where you can get great Tuscan food, suitable for formal dining or family dining out. Price is on the high side, however, you will be getting what you paid for. Ciao!! Cheers!! Note to driver: check out La Barca website for parking directions.